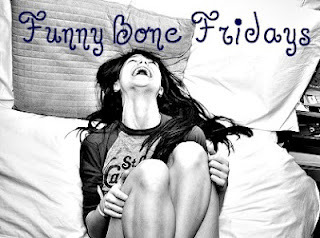 Home Unlabelled Funny Bone Friday: New Girl Edition! Bones, Dexter, and I, along with our friends, are obsessed with the show, New Girl. Every Tuesday, we gather in a room, and watch it together. So this Funny Bone Friday, I decided to show you guys four of my favorite clips from New Girl. And two of my favorite Winston moments! (You're welcome)! This is another clip from Injured. Everyone thinks Nick has cancer, so Winston decides to sing him a song. Then rapping ensues. This clip is from Control. Nick owes Winston money. Winston creates a speach. Nick's sarcasm gets the best of him, hilarity ensues. This is also from Control. Jess gets a Hutch, Schmidt believes it's dirty. Jess wants to keep it, Schmidt does everything possible to get rid of it. Schmidt clearly has a problem. This video has two wonderful Winston moments in it. The first one, Winston misses his woman, so he tells her he's tired of space in the only way that Winston can. The second one is Winston's favorite soundtrack to listen to in the car. This is terrible quality, but it's Winston at his greatest, so it was necessary. Winston is upset because he's been woken up by a bunch of random arguments. So there you go guys! A look into our favorite show. You are so welcome!